If you would like to go to the Glattalp in summer you have two options: either put on your hiking shoes or get on the small cable car. Towards the end of the valley, in Sahli, the mountains close off the road. Here lie the gates to the natural treasure of Glattalp: the valley station of the cable car. 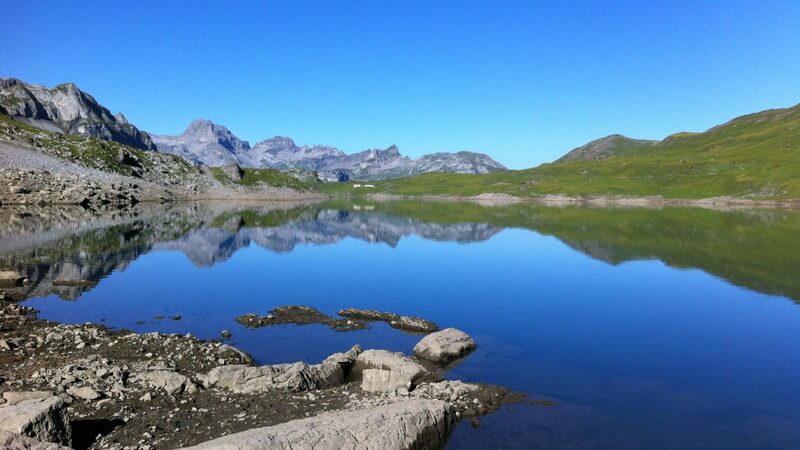 In winter the Glattalp is one of the coldest places in Switzerland with its icy temperatures. 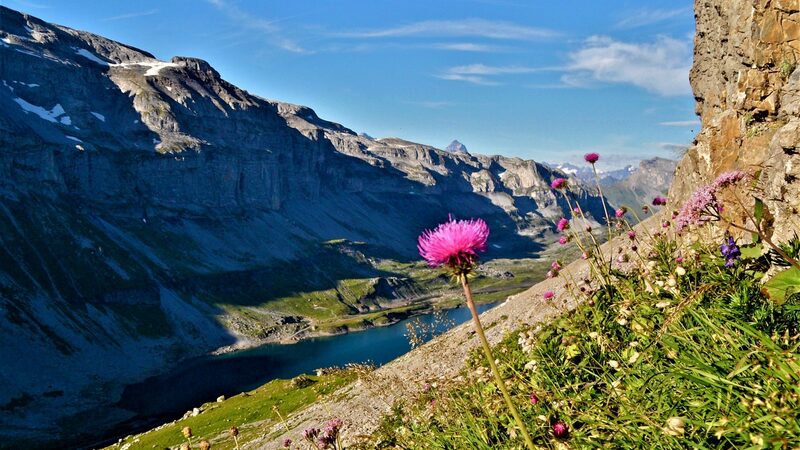 However, after the snow melts in spring, the mountain summer with its colourful plants takes over. Cows, pigs, horses and sheep can freely roam in the sun on the Glattalp. Hikers can join them. Families circumambulating the Glattalp lake. Mountain hikers on their way to the scenic outpost of Pfaff. Mountaineers tackling the Alpine tour to the Klausenpass. Or day trippers who would like to enjoy a delicious meal at the SAC hut or mountain restaurant. The Glattalp railway can transport up to 8 passengers per ride. With a travel time of 8 minutes the transport capacity per hour amounts to approx. 30 passengers. This can lead to waiting periods if the weather is nice. The hiking trail is an alternative that takes you to the Glattalp from the valley station within 2.5 hours. Rides are added to or removed from the scheduled rides based on the demand. Please note: The railway has a lunch break from 12.00 a.m. to 1.00 p.m. The cable car Sahli-Glattalp only runs during the summer months. Half fare and general season tickets are not valid. 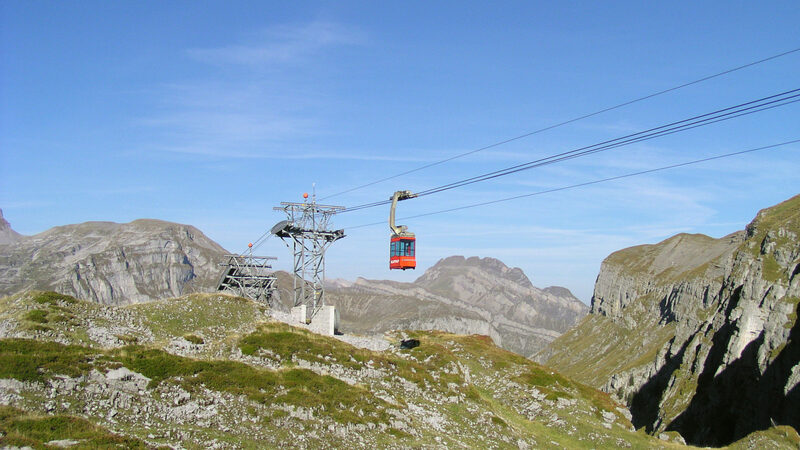 The cable car Sahli-Galttalp is closed in winter. 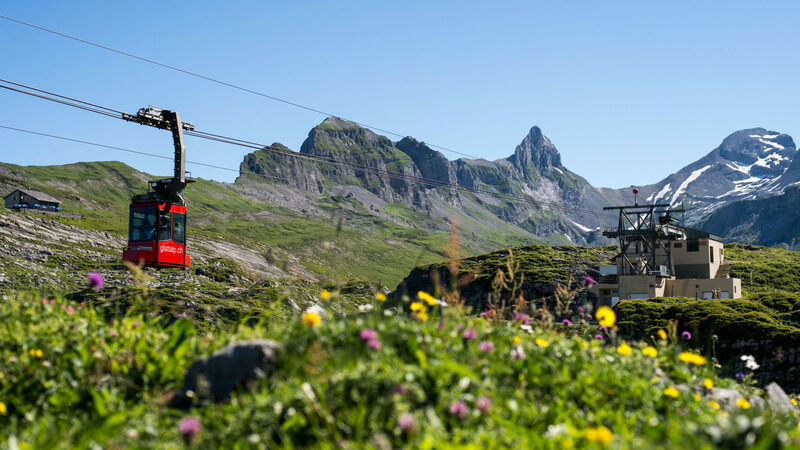 The smallest mountain railway in the canton of Schwyz is the only means of public transport to Illgau. Thus the ride to the sunny mountain village is already a unique experience.